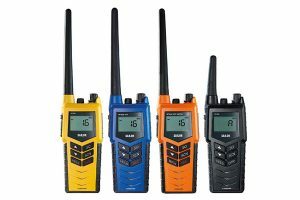 Find here most Radio communication devices we sell. 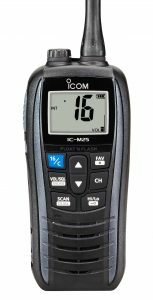 The IC-M35 is a handheld transceiver that comes with a great new feature that all users will love – Clear Audio Boost. The IC-M35 automatically adjusts the outgoing voice and the incoming audio to compensate for the ambient noise level: whether you’re in a quiet environment or a quiet area. 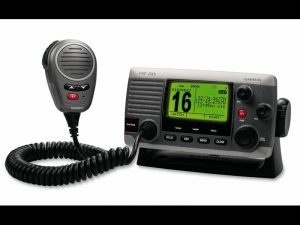 IC-M25 Navy VHF Marine Radio which floats and flashes when dropped into the water. 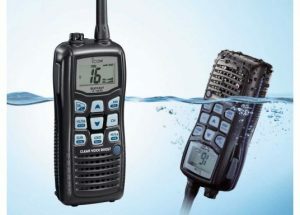 Sporting an elegant slim design, this new model has the lightest body in the market for a floating VHF radio just 220g. 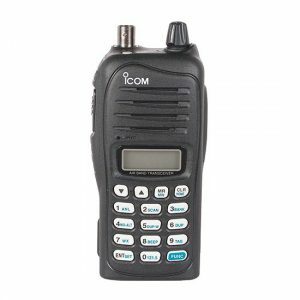 New for an Icom, this new radio has a USB connector for electronic devices. 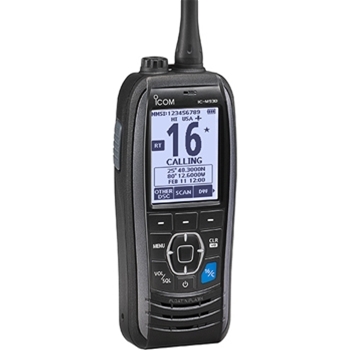 The Icom M93D floating handheld VHF with GPS offers class and ruggedness right in the palm of your hand. A powerhouse of communication and information, the M93D will ensure your safety with an integrated GPS providing you with speed, bearing and location information right at your fingertips. An AIS transponder on your boat. Received automatically by AIS-equipped vessels and bases stations, all while your vessel is static and dynamic information is being transmitted. 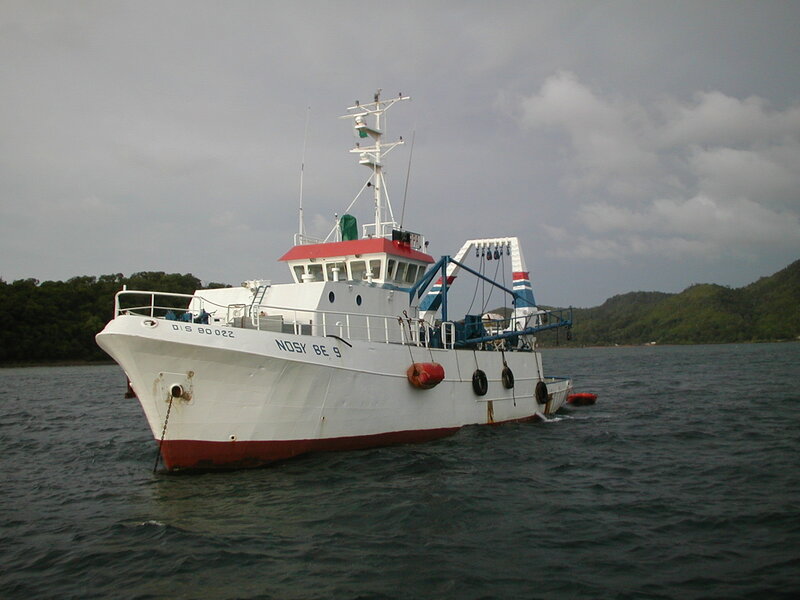 AIS signals may reach where radar can not, showing AIS-equpped vessels that might otherwise be hidden, such as the other side of an island or a larger vessel. SOLAS commercial transponder Class AA transponder, so your position will be known by nearby large vessels. The MA-500TR increases your safety at sea. 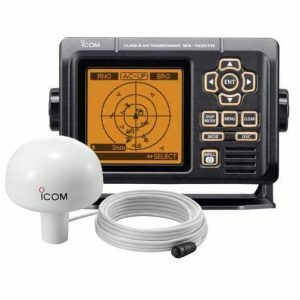 New, easy to use Icom Marine User Interface.The new marine family interface provides simple operation for the boat owner. A rotary selector provides directional keypad IPX7 Waterproof Protection. Class A transponder The MA-500TR is a Class A transponder for non-SOLAS vessels such as pleasure craft, work-boat and small vessels. Your vessels information will be automatically transferred to fixed intervals or under base station control. The MA-500TR receives dual AIS channels (Ch. 87B and Ch. 88B) simultaneously and receives both Class A and Class B AIS information. 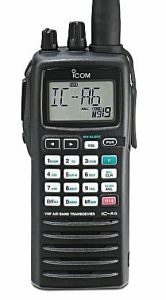 Rugged construction, Alphanumeric readout, Automatic tuning function An automatic tuning function is available when using the IC-M710 in combination with the optional AT-140 for quick and easy antenna tuning. Tuning is fully automatic. When you push the PTT you get a new frequency, the antenna tuner quickly tunes the antenna automatically. 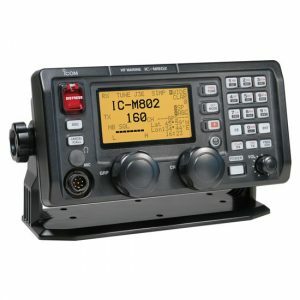 VHF / DSC Marine Transceiver (With GPS Receiver) Built-in GPS Receiver Intuitive User Interface Built-in Class D DSC AIS Target Call MarineCommander ™ Compatible Large Full Dot-Matrix Display. The speech compressor, DSP utilizing, increases average talk power. Flexible filter settings provide for narrow band signals like e-mail, SITOR, FSK and other operations without an optional filter. Automatic antenna tuner, AT-140. Air band radios are usually operated in high noise environments, so it is essential for the pilot’s radio to provide loud audio. The A14 uses a BTL (bridge-tied load) to amplify that doubles the audio output. Its internal speaker delivers a loud 700mW audio output with clear sound to cut through cabin or noise tarmac. Simple one-handed operation is the most essential feature of the IC-A24 / A6. The well labeled, large keypad provides user friendly operation. The wide display shows both letters and numbers and is easy to see, making for fast frequency recognition. The display is backlit, and so is the keypad. The light stays on until you turn it off – a very handy feature for flying at night. 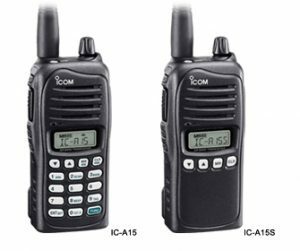 The IC-A15 / S VHF AIR BAND TRANSCEIVER is designed and built with Icom’s state of the art technology and craftsmanship. With proper care this product should provide you with trouble-free operation. 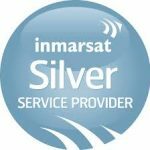 manual contains important operating instructions for the IC-A15 / S.
The AIS 600 is NMEA 2000 certified and is easily added to the existing NMEA 2000 network. Once installed, the AIS 600 is controlled via chartplotter display – giving you the information you need right at your fingertips. In addition, the AIS 600 comes with a built-in splitter that allows you to use the AIS 600 and any other VHF antennas. The VHF 100i is built to brave the elements. And to simplify the installation process, it can be mounted in a variety of configurations. 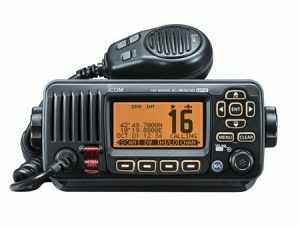 … It’s the only front flush-mount capable marine radio available on the market today, which makes the VHF 100i as flexible as it is functional. With up to 25 watts of power at your fingertips, you’ll be able to stay in touch anywhere on the water. So no matter where you are heading, you will always be safe. 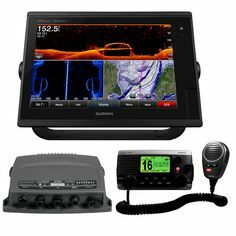 The Garmin VHF 200i provides full Class D Digital Selective Calling (DSC) capability via NMEA 0183 or NMEA 2000 connectivity. DSC provides distress calls with the push of a button. And if your boat is already interfaced with a compatible chartplotter GPS, you’ll get a signal and broadcast your boat’s position. 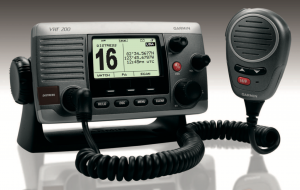 The VHF 200i also features Position Tracking, which allows a mariner to locate and keep tabs on the area. 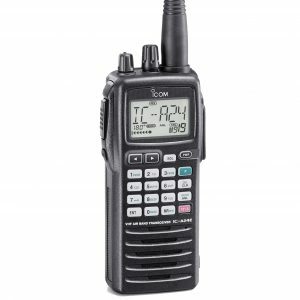 The VHF 200i has a simple user interface that is easy to read while on the go, so you’ll always have the right information at the right time. 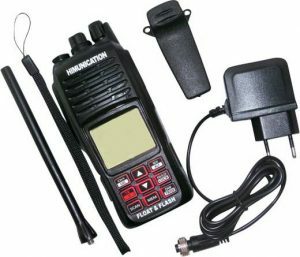 VHF 200i is a tool that allows you to use the buttons. 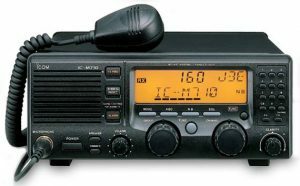 The VHF 200i also offers a premium sound quality.The display is the largest in the world, the information is available on 3.2 « (8.13 cm) display – the largest screen available in its class. 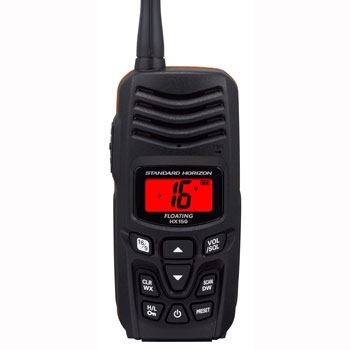 The Standard Horizon HX150 is a floating and lightweight 5W handheld VHF that has been designed to perform in the treacherous marine environment. 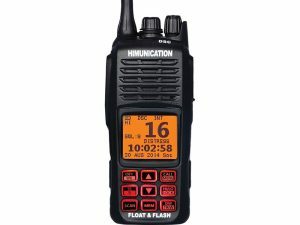 Built with a loud audio speaker and large buttons, the HX150 is a must have for any coastal or lake mariner.